When will be Ben 10 next episode air date? Is Ben 10 renewed or cancelled? Where to countdown Ben 10 air dates? Is Ben 10 worth watching? 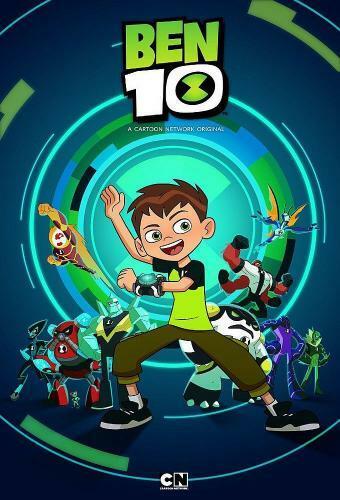 Cartoon Network's fresh take on Ben 10 will center upon a new animated series re-introducing the energetic, fun-loving, 10-year-old Ben Tennyson. At the core of the new Ben is a healthy serving of action, excitement, and all-around fun. Featuring many new and fan-favorite aliens, the series kicks off with the adventures of Ben, his cousin Gwen, and Grandpa Max as they travel the country during summer vacation. When Ben finds the mysterious Omnitrix, a world of alien superpowers opens up to him. Ben 10 next episode air date provides TVMaze for you. EpisoDate.com is your TV show guide to Countdown Ben 10 Episode Air Dates and to stay in touch with Ben 10 next episode Air Date and your others favorite TV Shows. Add the shows you like to a "Watchlist" and let the site take it from there.